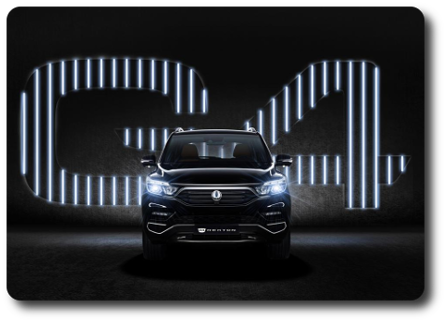 Our all-new flagship G4 Rexton made its European debut at 2017 Frankfurt Motor Show in September. It will be launched in Macedonia by MakRatola by the end of this year. The XLV C-segment crossover that is being exhibited for the first time in Europe at Geneva Motor Show is the production model of the long bodied Tivoli. "Tivoli Long" is 279 mm longer than Tivoli and offers an increased boot capacity of 720 litres. Tivoli received the top score - 91.9 points out of 100 - in 2015 Korean New Car Assessment Program (KNAP). It is also the highest score among leisure vehicles since 2013 when the current evaluation methods were introduced. 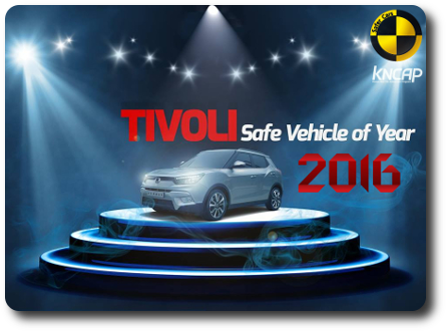 Thus Tivoli was crowned Safest vehicle in Korea for the forthcoming 2016. 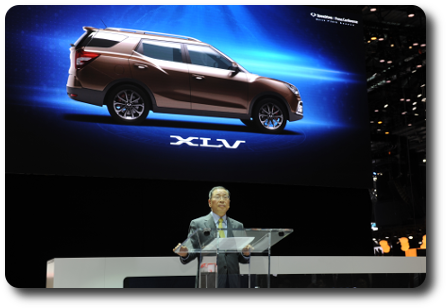 SsangYong Motor has showcased its environmentally friendly concept Tivoli EVR at the 85th Geneva International Motor Show. The Tivoli EVR features a 95kW gasoline engine and a 25kWh lithium-ion battery. It can travel up to 130 km on EV mode and 500 km on “range extend” mode. It has a maximum speed of 150 km/h, while it emits carbon emissions of only 35 g/km. 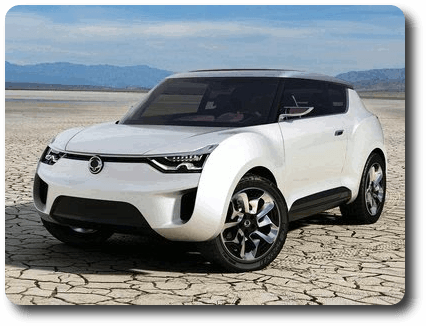 SsangYong Motor Company joined the OAA (Open Automotive Alliance) to provide convenient and high-tech services to customers, with so called “Smart Car”. 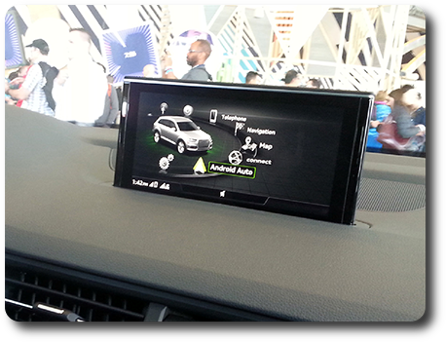 The Korean premium automaker will apply new programs integrated with the Android auto system to the next generation vehicles, allowing customers to easily use various Android app services including Google search and Google maps with their Android smart phone or tablet PC. 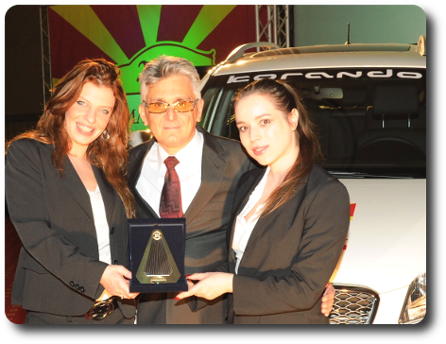 SsangYong Korando was elected SUV of the year 2012 in the Macedonian COTY contest. A jury of renowned car journalists ranked Korando first place in the SUV class followed by Audi Q3. Korando was praised for its trendy Italian (Giugiaro) styling, dynamic performance and unrivaled value for money. Become part of our inspired SsangYong dealer network.